This monumental work is the ripe fruit of a lifetime of observation, research, and meditation on the human organism and the remarkable diversity of our closest animal relatives: the mammals. Its first German edition (1971) was followed in 1977 by an English translation (Man and Mammals) that was soon out of print. By its second German edition in 2012, the work had doubled in size to 22 chapters in two volumes. These are included in the present English edition, along with a new chapter on armadillos, anteaters, sloths, and pangolins. The English translation of 1977 has been significantly expanded and updated; the two chapters on mammalian embryology that were left out of that edition have been included here, and the entire 23-chapter work has been revised by the author. There is a baffling diversity within the approximately 5,400 species of mammals, ranging from the Etruscan shrew, barely an inch long, to the 100-foot-long, 200-ton-plus blue whale. Nonetheless, all mammals share a common organizational structure. Through their sensory and nervous systems, they perceive their surroundings and process their perceptions; through their metabolic–limb systems, they take in and digest nourishment and move through their surroundings; and mediating between these polar opposite systems they each have an integrated, rhythmic respiratory, and circulatory system. Why are shrews so small and whales so large? Why do many hoofed mammals have horns and deer have antlers? Why do least chipmunks have dorsal stripes that run parallel to their spine, while tigers have stripes on their flanks that run parallel to their ribs? According to the dominant Darwinian paradigm, such features are usually explained as arising through random mutation and natural selection—factors external to the organism itself. In Understanding Mammals, Wolfgang Schad builds on the pioneering morphological insights of Goethe, showing how the extraordinary diversity of shapes, sizes, dentition, coloration, behaviors, preferred habitat, and even embryonic development among mammals reflect the unique configuration of the three organ systems within their particular constitutions. He thus establishes the basis for a new scientific understanding of the mammals whereby each unique organism explains itself. A century from now, this groundbreaking work may well be accorded the same paradigm-shifting importance as Darwin’s Origin of Species has enjoyed for the past century and a half. The first three chapters describe in depth the three main organ systems. showing how they function together in a balanced way in human beings, whereas one system predominates in other mammals. Schad then shows in detail how the rhythmic system dominates in the carnivores, the metabolic–limb system in the ungulates, and the nerve–sense system in the rodents. He finds, for example, that, although they are dominated primarily by the nerve–sense system, rodents such as the porcupine or beaver exhibit a secondary emphasis on the metabolism, whereas squirrels display secondary characteristics of the rhythmic system, and mice exhibit purely nerve–sense characteristics. In beautiful chapters on antelopes and deer, he describes how even the formation of their horns and antlers corresponds with their particular constitutions. Again and again, Schad demonstrates that the key to understanding the extraordinary diversity within the class of mammals is the particular way that the threefold organism manifests in each taxonomic group. Numerous photographs, drawings, and diagrams illustrate how related mammals diverge through increased emphasis on one or another system. A chapter on marsupials by Schad’s son Albrecht, and a very detailed chapter on mammalian embryology by Heinrich Brettschneider, enhance the scope of Understanding Mammals. Overall, readers will come away with a new perspective on the expression of form and pattern in the world of mammals and how human beings play a central role in illuminating relationships among all the diverse forms. Peter Selg investigates how children’s early experience of the world begins as an undifferentiated sensory relationship to their phenomenological environment. This aspect of a child’s incarnation leads to learning through imitation and to the process of recognizing “the Other” as a separate entity with which to interact. 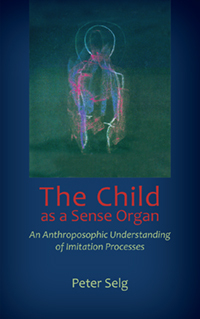 In this cogent work, Peter Selg describes the early stages of childhood from the perspectives of conventional scientific and spiritual-scientific—anthropological and anthroposophic—research with the purpose of encouraging a new educational attitude in working with young children. In his numerous references to early childhood development, this was Rudolf Steiner’s most important and urgent purpose. This book was originally published in German asDas Kind als Sinnes-Organ: Zum anthroposophischen Verständnis der Nachahmungsprozesse(Verlag des Ita Wegman Instituts, Arlesheim, Switzerland, 2015).